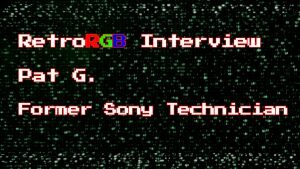 RetroRGB.com started out as a website dedicated to helping people get the best performance from their classic consoles. Since, it has evolved into a hub of information, centered around keeping everyone informed about what’s going on in the retro-gaming community: News, reviews, guides and a weekly podcast that sums it all up! RetroRGB is now run and maintained by a group of classic gaming lovers and we’re currently expanding even further. Bob started this site with his Cousin Scott in late 2011; The site was originally a shared Google Doc that they thought “a few friends” might be interested in, but after a suggestion from Scott became RetroRGB. Bob’s career has been filled with jobs that focused on sales engineering, tech writing and computer hardware design, making the challenges of RetroRGB’s guides a perfect fit. Justin was the sole person responsible for creating the new version of RetroRGB, as well as migrating all the previous information over. Quite simply, this “new” version of the site wouldn’t have happened without him and he continues to lead the awesome additions and upgrades to the site! 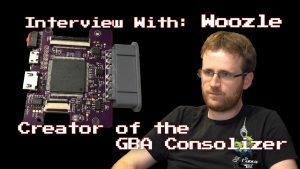 Justin also runs the retro-gaming channel Console Kits on YouTube! The smokiest of monsters, Mike was originally made famous by his incredible documentation of roms for almost every classic console. While that preservation effort was game-changing in the retro-gaming world, his work in the arcade and now MiSTer scene has arguably been even more influential. We’re proud to have him as one of the main contributors to the site! Ray’s always keeping us current with all the latest and greatest homebrew out there! Also, his editorial pieces have brought a great new perspective to the site! Check out more of his work on his YouTube channel! beyondpixels, aka “Chris from Belgium” has actually been a “behind-the-scenes” contributor to the website for quite a long time and would previously submit work via email! His knowledge of rare PAL consoles has brought a completely different expertise to the site, with many rare console revisions now having their info archived right here! Rany’s contributed quite a few posts and helped keep the news section up to date. This is no small accomplishment, as it’s tough keeping up with everything going on! Greg Collins’ 3D print work has become a bit famous in the retro-gaming scene. Its often joked that he’s “saving our consoles, one piece of plastic at a time!”, as his work allows for many #notcutmods, as well as some downright cool designs. He contributes installation guides and design files to this site, as well as runs his own web store. Vanessa’s knowledge of classic computers has brought yet another area of expertise previously missing from the site! She’s also a console gamer and BVM enthusiast! On top of our regular contributors, we’ve had some excellent “guest submissions” from Jenovi, WesDe, Todd Gill, Roarke and others! Anyone is welcome to contribute: Full guides, small news posts and anything in between! RetroRGB has grown to be “by the retro-gaming community, for the retro-gaming community” and all are welcome!